A California-based company revered for its revolutionary breakthroughs in outdoor apparel, Patagonia‘s remained on the cutting edge of fabric development. Recently, the popular brand successfully combined the best attributes of both down and synthetic materials in its newly announced HyperPuff product line, including hoody, parka, and jacket options hitting stores this July. The HyperPuff takes warmth to a whole new level, integrating an entirely new form of insulation in an accordion-like fashion which allows for down-like compressibility and self-lofting capacity. For years, mountaineers have asked themselves a very simple question: Should I wear down or synthetic? Both types of insulation provide for different needs and it’s normal to own multiple pieces in each category. The bottom line is, both goose and duck down win the warmth-to-weight challenge by a large margin while also scoring high regarding compressibility. The fluff beneath bird feathers kept people insulated for centuries, heralded for its ability to loft and create a tangible area of warmth around the body. Perhaps its lone downside is the fact it’s essentially rendered useless when wet. Synthetic insulation ranks first in terms of breathability and insulation when exposed to moisture. While down soaks up water and clumps together worthlessly, synthetic materials prevent absorption and maintain physical form, continuing to insulate even while exposed to moderately wet conditions. This aversion to water absorption applies inside as well as out, with synthetic jackets providing excellent breathability during vigorous physical activity. However, Patagonia’s latest line bridges this gap, combining the best of both synthetic and down. 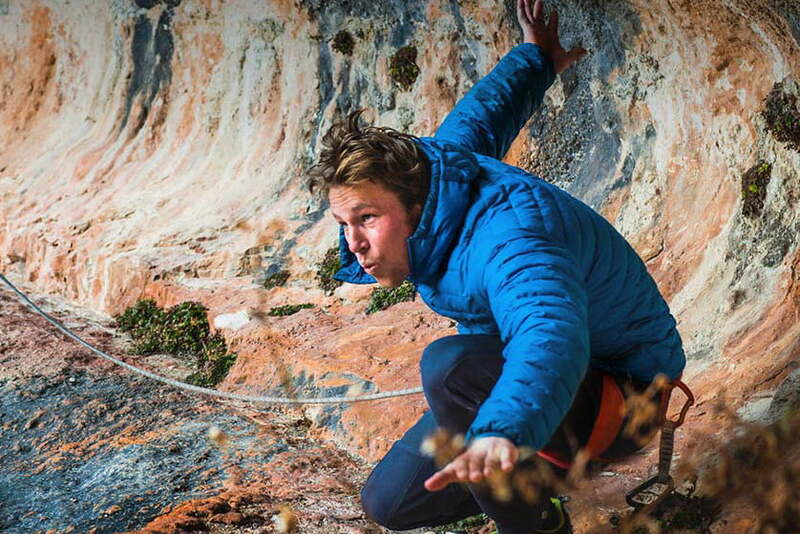 Patagonia implemented the original DAS insulation earlier on in the company’s product line, highlighted by the DAS parka, which boasts a combination of PrimaLoft Gold and PrimaLoft Silver materials. DAS literally stands for dead air space, which was designed to replicate lofting ability and serve as the warmest synthetic material on the market. “The sharing of the DAS acronym is the only relation [between the original DAS insulation and the HyperPuff],” Mallory added. In other words, Patagonia’s HyperPuff line features a synthetic puff jacket that actually puffs, mimicking the warmth of goose down while upholding the increased durability offered by synthetic materials. “The outer shell is 1.1oz Pertex Quantum Nylon Ripstop with mechanical stretch that has been treated with DWR,” Mallory stated, ensuring its capacity for withstanding the rigors of the mountainside. The product’s unique ability to compress and spring back to life is unprecedented, allowing for easy transport of an otherwise bulky jacket in a small stuff sack. When removed from the sack, the jacket puffs up immediately, quickly filling individually sewn regions with HyperDAS insulation to capacity and allowing for immediate warmth. One of the biggest problems with synthetic insulation is its lifespan and inability to retain loft over time, as opposed to regular down which typically lasts decades. The HyperPuff shattered these standards as well. Where synthetic material once failed, it now exceeds the capacity of real goose down. To top it off, the HyperPuff products register just a touch heavier than the original DAS. The men’s DAS Parka weighs in at 23.6 oz while the men’s HyperPuff Parka packs a whopping 25.4oz — fairly impressive for a product providing a substantially higher degree of insulation. The HyperPuff is truly unlike anything the industry’s seen — and yet again Patagonia makes a massive leap to a higher plane of development in the world of outdoor apparel. 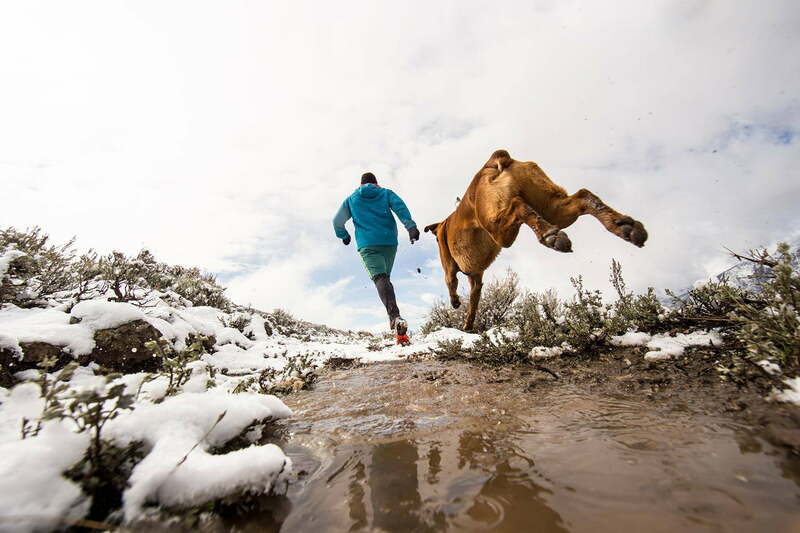 The decision between wearing synthetic or down in the coldest and wettest of places no longer remains a compromise. The HyperPuff provides the best of both worlds and ensures continuous warmth — even when wet.